In an effort to reduce the wait time in the registration line at con, those who pre-register online will not have to sign the Code of Conduct agreement during the badge pick up process at con. Instead, the online registration process will include confirmation that you have read and will abide by the convention's Code of Conduct. If you are already registered for Arisia 2017, you will receive an email from Registration soon with instructions on how to log into the system online and agree to abide by the Code of Conduct. Arisia's Innkeeper department is working hard to have reservations available to attendees by September 14th at noon. As in previous years, there will be a two night minimum for stays at The Westin that include Saturday night. New for Arisia 2017, The Westin will be charging a non-refundable deposit for reservations a month before the convention (not at the time of reservation). This policy is being implemented to try and discourage members from booking one or more rooms "just in case" only to cancel at the very last minute, which has been an issue for the last several years. The cost of one night's stay (plus applicable taxes) per room will be charged to the card used to hold the reservation; this charge will occur on December 13th, 2016. Any cancellations received by December 10th, 2016, will not be charged this deposit. Cancellations made after December 10th will be charged one night's deposit per room. It is the responsibility of the reservation holder to remember that the charges will occur. This deposit only applies to reservations for The Westin Boston Waterfront, the primary convention hotel, and not the overflow hotel(s). Arisia 2017 is looking for LARPs! We seek to continue our tradition of providing gaming experiences to fit a wide variety of tastes - live-combat or theater-style, campaign-connected or stand-alone, if you'd like to provide a live-action RPG experience to con-goers this January, we want to hear from you! Arisia will once again host a game room, including free play tables and a game library. We are also looking to set up scheduled sessions and tournaments for roleplaying, board, and card games (anything that can be played around a table!). 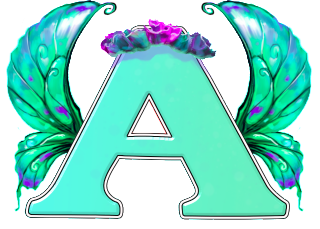 Arisia is run by the community for the community, and you can help out in big and small ways. Visit http://www.arisia.org/Volunteer to check out our Help Wanted page and fill out the volunteer sign-up form. Or just drop an email to volunteers@arisia.org with your skills and interests, and we'll get you started. Arisia maintains a calendar of our events that includes planning meetings, get-togethers, and other opportunities to get involved. Copyright © 2016 Arisia Inc, All rights reserved.